Lolly Joe is an Action, Adventure and Platformer game for PC published by Peter Valencia in 2016. Go on new adventures with a pet dog. You will enter the mind of a little boy who is the owner of this dog. So, You will have adventures in a fantasy world full of funny things. Joe is the name of this funny dog who has a lolly on his hands. Actually, This lolly is the only item in the game that you will use it for many times. Hundreds of puzzles are waiting for Lolly Joe. All of the environments are designed by happy colors. That’s why this action adventure game is appropriate for all of the ages. But it’s not developed only for children. You can enjoy exploring the beautiful environments with the little dog in his owner’s mind. There are twenty seven items to customize your character. Some of them can be found in the environments. The others should be purchased from the store. If you want to get all of the items, You need to get high scores in the levels. It’s not so hard to reach the maximum scores in each level. Lolly Joe doesn’t have so many special skills. He just knows how to jump or use the lolly on his hands! The player is the one who should make him much better than before. Some jokes are included during the story mode that will make the players laugh. 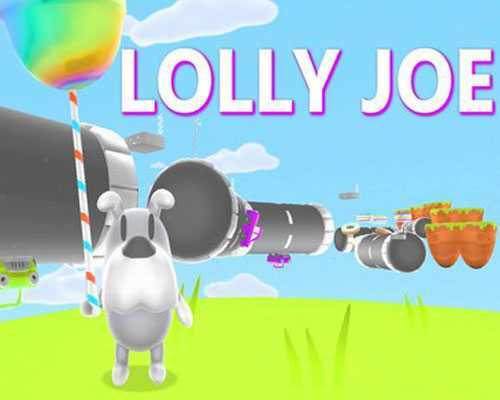 Lolly Joe has been released on Steam recently. It has got positive reviews from the users who have experienced this platformer game. Be aware of the traps during the adventuring! 1 Comments ON " Lolly Joe PC Game Free Download "
Wow Ali this actually was a good game i thought it was just a game 6 year old made.